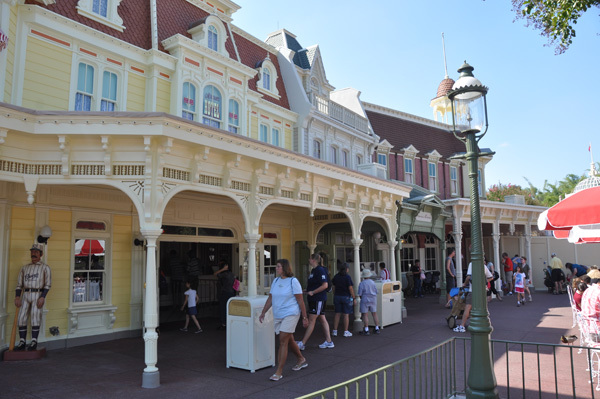 I promised to update everyone with updated construction and rehab photos from Magic Kingdom in Walt Disney World. 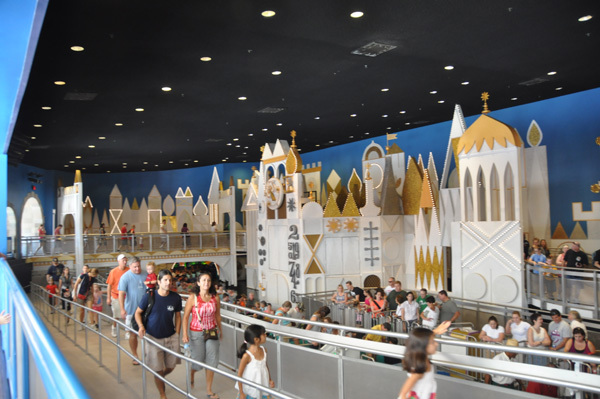 I know that many Disney lovers enjoy seeing all the details of the parks. So follow me after the break and I’ll share my latest photos. 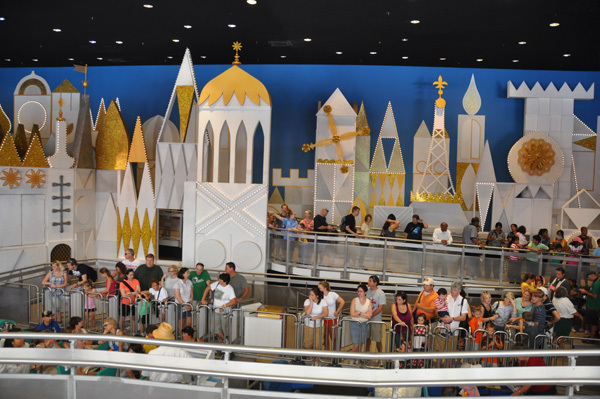 Fans of its a small world will be happy to know that the attraction has reopened. It actually opened a few days early. 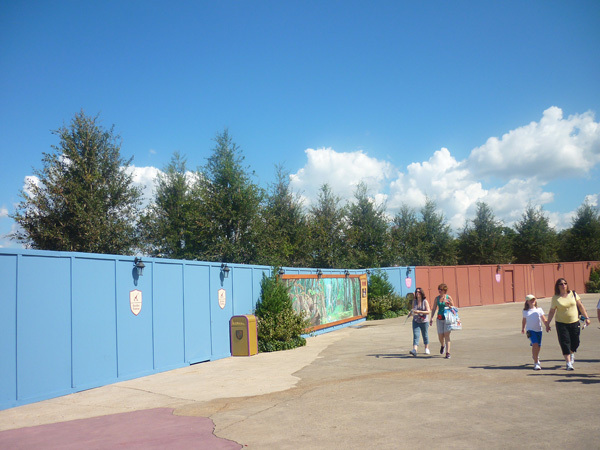 There was some speculation that they were going to be adding Disney characters to this attraction. 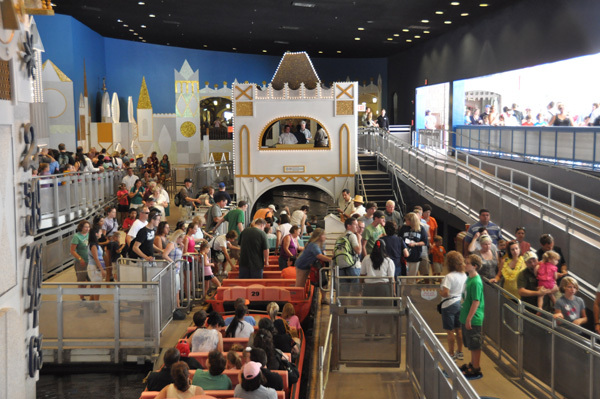 Thankfully they didn’t change anything on the ride! The former entrance is now the exit, the exit is now the entrance. 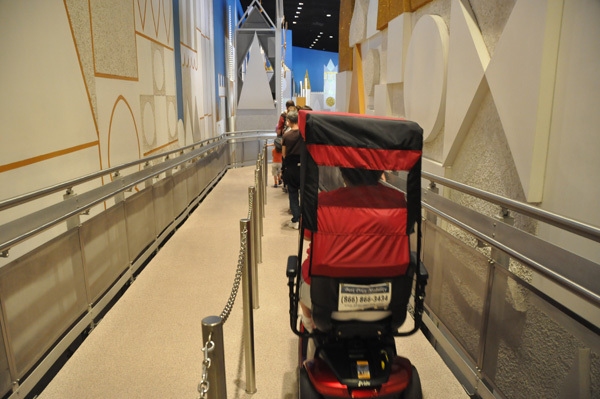 There is a small stroller parking area to the right of the entrance along with the former stroller area by the exit. 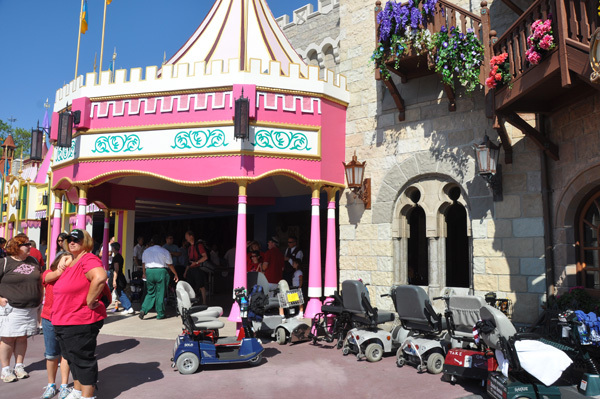 Please be aware that the handicapped entrance has changed also. I tried to say something to a lady in a wheelchair but she just glared at me. 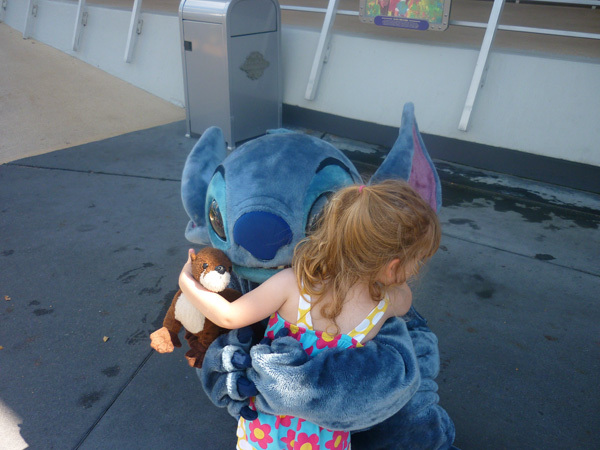 The cast member did tell her she was on the wrong side. There are signs that state where the handicapped entrance is. 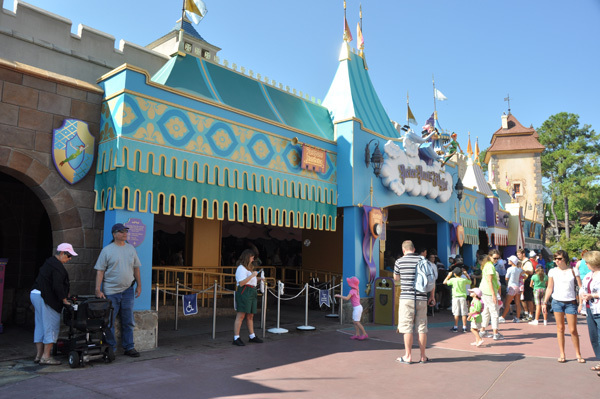 Peter Pan’s Flight is finally out of rehab. 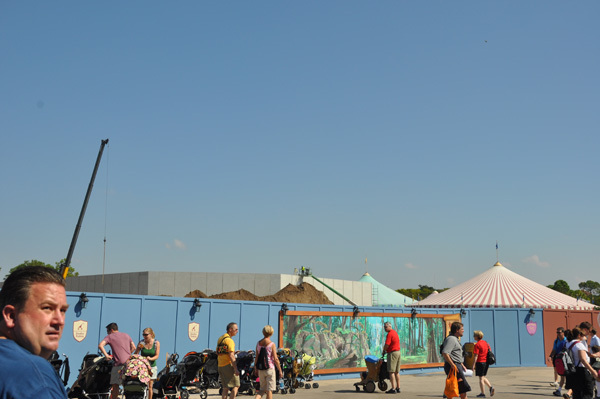 You can also see the buildings taking shape behind the construction walls in Fantasyland. I hate to recommend this but if you really want to see what they are doing you might want to consider riding Dumbo the Flying Elephant. I took a video but you get dizzy trying to watch it. I took this picture above last week. Then I was there yesterday and took the picture below. Do you notice a difference? Wow, those trees grew up so tall in just a week! I wonder if it is to improve the view or keep prying eyes out? What do you think? 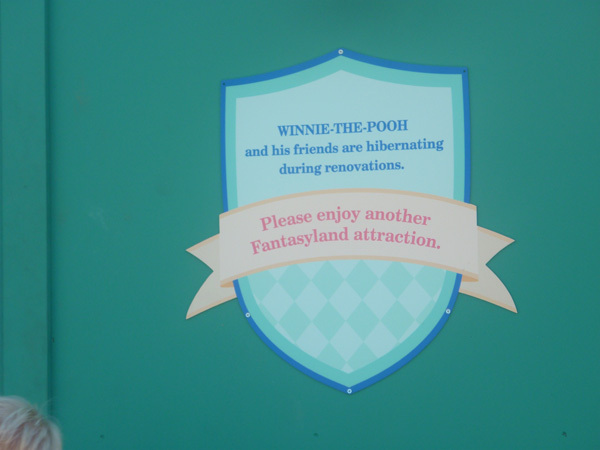 Winnie the Pooh is closed for a rehab now. 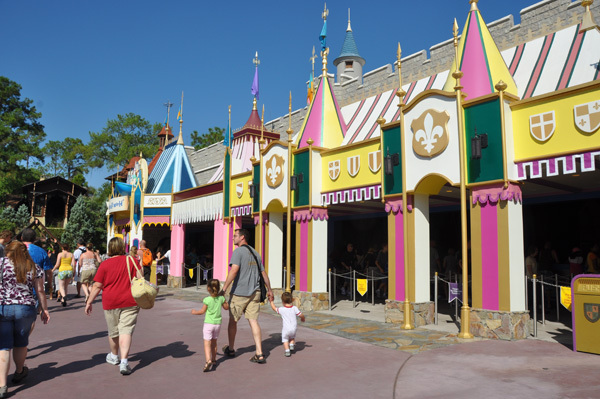 They do have cast members outside the attraction with a few games that the kids can play. 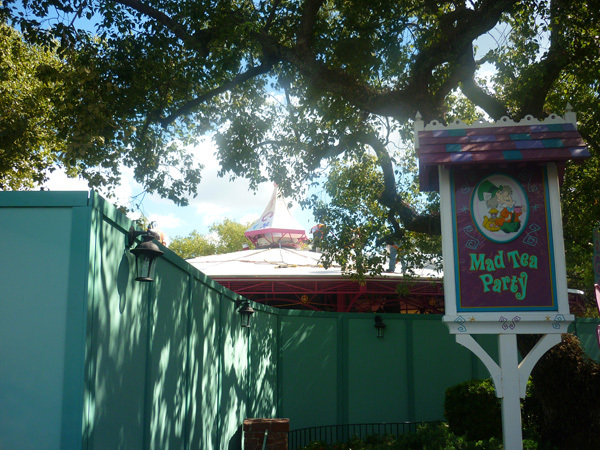 Don’t get too excited to ride the teacups at the Mad Tea Party. 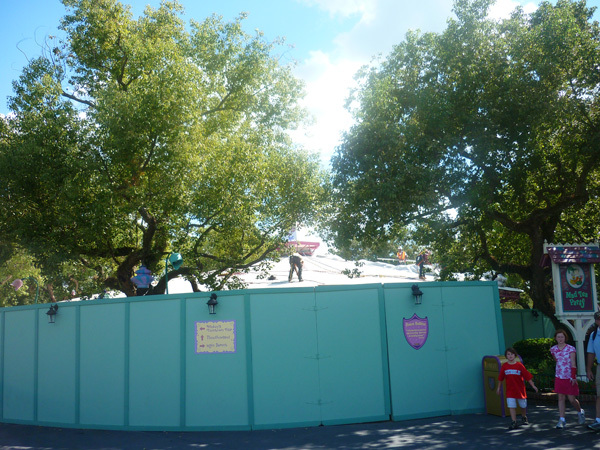 They were doing a lot of work on the roof of this fun attraction. It is expected to open November 13, 2010. The good news is that Casey’s Corner has been unveiled from all of its printed tarps. 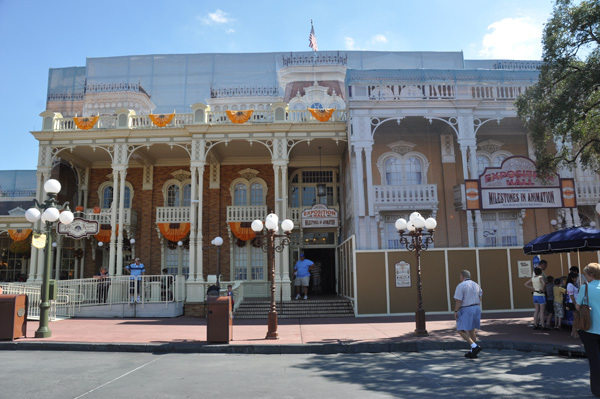 The bad news, there is still a large tarp on one section of the Emporium on Main Street and Exposition Hall still has the tarp up also. 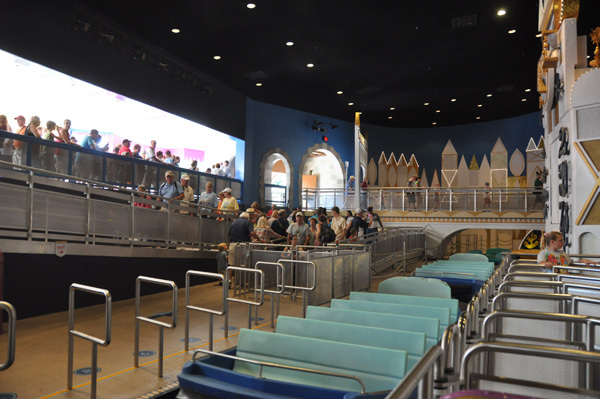 I know that many are upset about all the work going on at the Magic Kingdom, but I think it is exciting to see the change happen. This is still a place to escape the daily cares and woes. There is still magic around every corner. 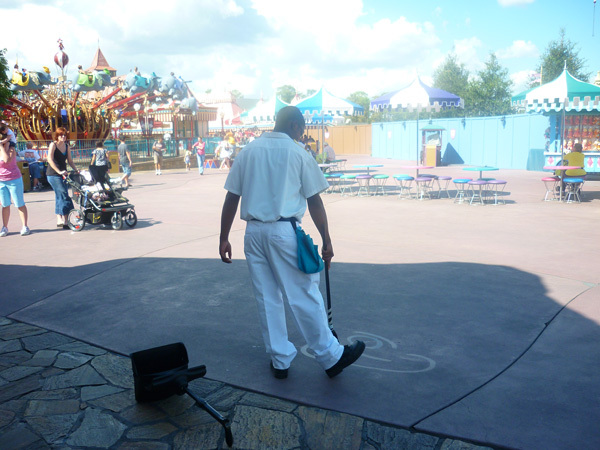 Air Force Week kicked off at the Magic Kingdom on October 26. It was a magical moment to see the United State Air Force Thunderbirds flying over Cinderella Castle.